A feature-length documentary highlighting solutions to improve food security in the African nation of Namibia. As an undergraduate at Elon University, I was selected to be a part of the Periclean Scholars program; a four-year academic based service learning program that is committed to raising the level of civic engagement and social responsibility throughout the entire university community. Selected students are inducted into the Periclean Scholars program during their first year and are assigned to a country of focus, which their cohort spends the next three years studying. Students take a series of academic courses, culminating in a class project of global social change. I was a member of the Periclean Scholars Class of 2017 and our country of focus was Namibia. After many months spent researching Namibia, my class decided to create a documentary that aimed to increase awareness about solutions to food security in Namibia. I was fortunate enough to spearhead the project, having the opportunity to travel to Namibia twice to collect content. To make the project possible, we applied for a media grant with the Park Foundation. We spent November 2015 to March 2016 researching, drafting, and perfectly our grant proposal, which was approved in April 2016, granting us $10,000 to support our project. 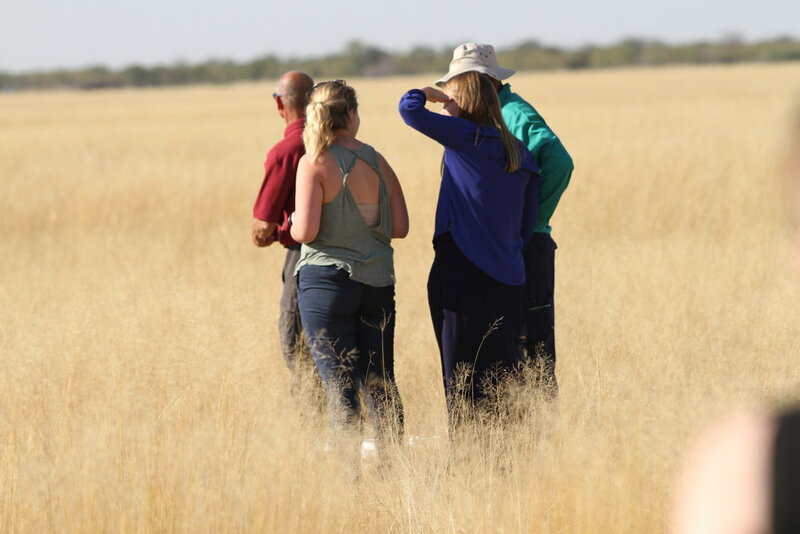 My first trip to Namibia was in June 2016 and I was accompanied by fellow students Oly Zayac and Susan Reynolds, and faculty mentor, Carol Smith. We were there for 10 days and spent time in Windhoek (the capital), Oshakati, and Bwabwata National Park. My second trip to Namibia was in January 2017, accompanied by fellow student Oly Zayac. With another 10 days on the ground, we spent time in Windhoek and made our way to Swakopmund on the coast to see and learn about the Namib desert, the oldest desert in the world. The majority of our time was spent in Bwabwata National Park, where we fostered strong relationships and identified a story that would eventually be our driving narrative. With ample content from both trips, we had about 3 months to piece together our story into a feature-length documentary. Feature-length film, titled The Omega Project, is a documentary highlighting the collaboration and accomplishments of individuals, grassroots organizations, and governmental entities that are exploring possibilities to increase food security in the African nation of Namibia. The film was premiered on Elon University's campus in the brand new Turner Theater in April 2017 to an audience of friends, family, students, and faculty. The Omega Project has since been submitted to film festivals.